With 80 million Millennials (people who are today eighteen to thirty years old) coming of age and emerging as leaders, this is the largest generation in U.S. history, and by 2020, its members will represent one out of every three adults in the country. They are more ethnically and racially diverse than their elders, and they are the first generation to come of age in a truly global world and in the new digital era. Millennials have also begun their careers in the midst of a recession that has seen record youth unemployment levels, yet they remain optimistic about their future. 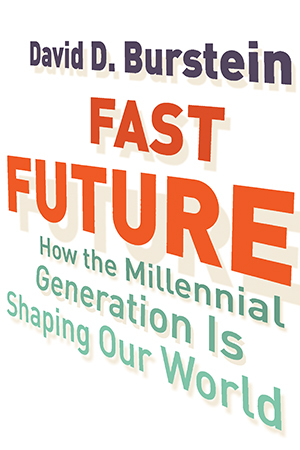 Drawing on extensive interviews with his Millennial peers and on compelling new research, Burstein illustrates how his generation is simultaneously shaping and being shaped by a fast changing world. Part oral history, part social documentary, Fast Future reveals the impact and story of the Millennial Generation in its own words.